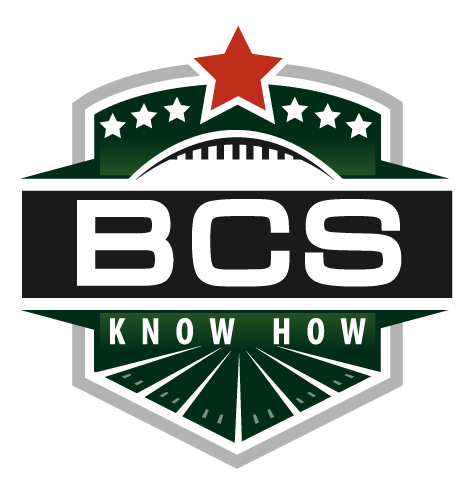 Once again we’ve come to the end of the college football season with questions to be answered about the BCS. While Saturday was incredibly clarifying when it came to many of the BCS spots, as it always is, there is drama to be played out in the polls, the computer and the selection committees on Sunday. The non-AQ debate rages. 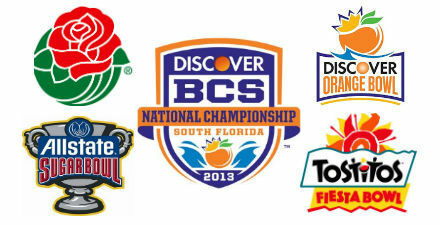 Will Northern Illinois or Boise State crack the set of BCS bowls? Either way, it’s been as fun as it always is. Let’s get ready for bowl season. 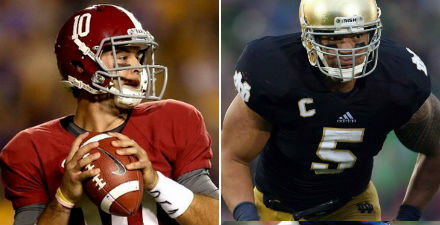 Comment: It played out just right this year for Notre Dame and Alabama to meet in what could be the biggest name pairing in the history of the BCS title game. Two programs, each with big accomplishments in 2012 — Notre Dame’s undefeated season, Alabama’s SEC title — will meet for the BCS crown at the end of another expansive bowl season. The Crimson Tide just did enough against Georgia in the SEC title game to claim this spot and set up every BCS executive’s dream matchup. Comment: Stanford did what it needed to do — beat UCLA twice in six days, including in the Pac-12 Championship Game — to make their way to the Rose Bowl as the Pac-12’s champion. Nebraska, on the other hand, did not do what it needed against Wisconsin, instead slipping to the Badgers when it mattered most, and giving Wisconsin a third straight bid to the Rose Bowl. Wisconsin’s Big Ten title comes in a year where they also recorded five losses, the most a BCS bowl bound team has ever had. Comment: Florida automatically qualifies for the BCS with its No. 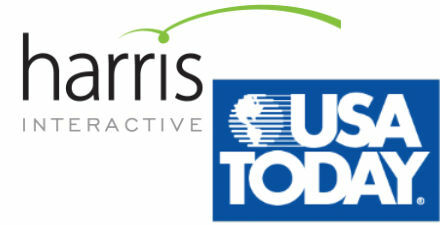 3 final ranking, which they receive by just passing Georgia, who saw a chance at a national title shot slip away. Oklahoma, while unable to claim the Big 12’s BCS bid outright, instead makes their way to a BCS bowl on the strength of a season that came up just short of the top of the BCS. Losses to Kansas State and Notre Dame kept Oklahoma at bay, while a lone loss to Georgia kept Florida out of the SEC title game. But both find some sanctuary in the BCS anyways. Comment: One played in a de facto conference championship game, the other in a real one. But when it mattered the most, Florida State and Louisville stepped up against Georgia Tech and Rutgers, respectively, and will meet in the Orange Bowl as representatives of their respective conferences. For Florida State, a team that was once a perennial BCS contender, the Orange Bowl is its first since 2006, while Louisville heads to the BCS for just the second time in school history. Comment: Both must wonder what could have been. Two teams seemingly destined for the BCS title game fell one November night within minutes of each other. And with too little time to climb back into the title race, Oregon and Kansas State are relegated to the Fiesta Bowl for what should be an incredibly interesting matchup. Oregon was left at home watching Stanford and UCLA battle for a Rose Bowl bid, but will land softly at the Fiesta Bowl, while Kansas State’s Big 12 regular season title locked them into this bowl.